The return of a very special band led by a former Jazz Messenger. Grammy-winning saxophonist Jean Toussaint first came to prominence when he joined Art Blakey’s Jazz Messengers in 1982. Since moving to London in 1987, Toussaint has released ten critically-acclaimed CDs as a leader. 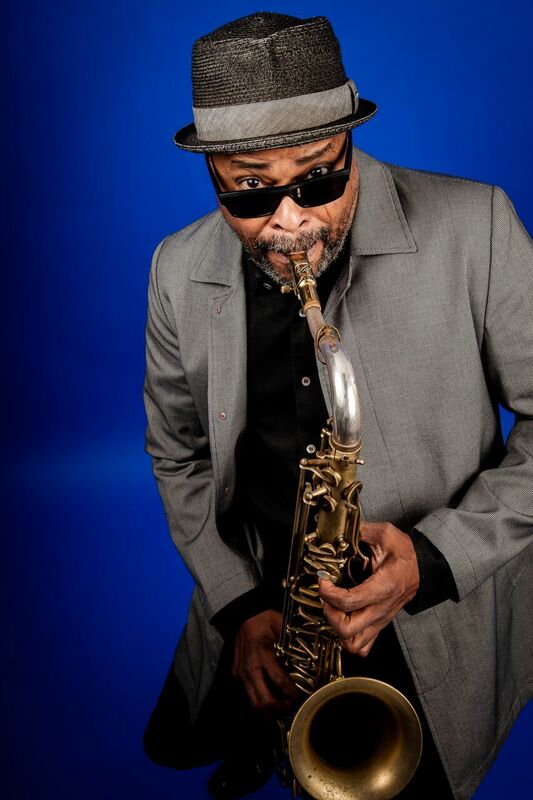 He will presents his 11th album, “Brother Raymond”, as part of a UK tour with a truly all-star quintet. To commemorate, the twenty-fifth year of, the passing of the great Art Blakey in 2015 Toussaint organised a project which (borrowed from the Messengers Blue Note record of the same name) he called “Roots and Herbs/The Blakey Project” which was hugely successful when it visited Seven Arts in Autumn 2015. The music of Brother Raymond builds on the legacy of Blakey but above all confirms Toussaint’s place as an accomplished composer at the forefront of modern jazz. Stand-out tracks include the opening ‘Amabo’, an African groove dedicated to Barack Obama. The title track draws upon the influences of Toussaint’s favourite composers, “Duke” Ellington and Wayne Shorter. Born in the Caribbean, Grammy-winning jazz saxophone giant Jean Toussaint started his musical career in a calypso band before studying jazz at the prestigious Berklee College of Music in Boston. He began his international career as a member of Art Blakey’s Jazz Messengers in 1982. After four and a half years in the band alongside Terence Blanchard, Donald Harrison, Lonnie Plaxico and Mulgrew Miller, he settled in London, quickly becoming a key figure in British jazz. Toussaint has maintained a considerable presence as bandleader in Europe having recorded 10 albums as a leader. As a sideman, Toussaint has worked with McCoy Tyner, Max Roach, Cedar Walton, Gil Evans and Jeff ‘Tain’ Watts. The last few years he has played the North Sea Jazz festival Holland, Montreux Jazz festival Switzerland, Clermont-Ferrand, Vienne, Toulouse and Paris Jazz festivals, Bologna Jazz festival, San Sebastian Jazz festival, Berlin Jazz festival, Cork, Dublin and Sligo Jazz festivals, London and several other jazz festivals around England and Scotland, and jazz clubs and concerts halls all over Europe. Support band – the Nico Widdowson trio.